Can I do that? Of course you can, nowadays there are so many ways for us [parents] to find a great way to write a letter for our children from Santa. Just like from this website that I have been following and it shows me so many ideas, especially during Holidays such as the upcoming one, Christmas Day. The day that we are celebrating not only because Santa Claus is coming, instead Our Saviour Jesus Christ is born. 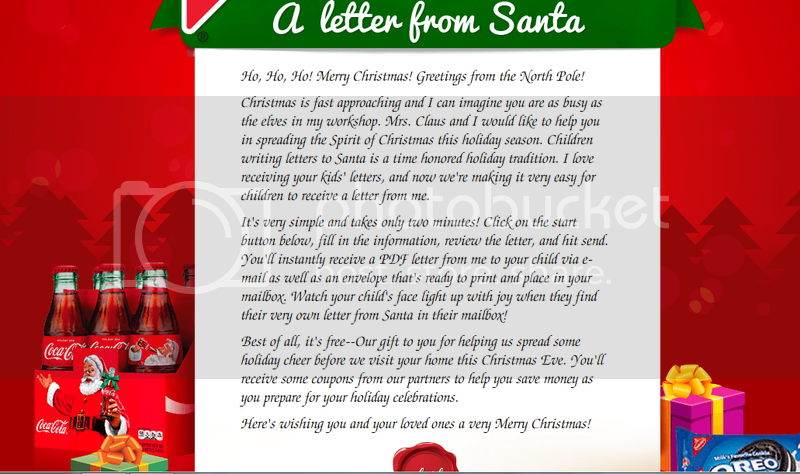 Speaking more about the A Personalized Letter from Santa Clause, you can actually personalize it and send it to all your children separately. In order to do that, all you need to do is a printer, a bond paper and an envelope. The letter is very precise and I love how it talks about surreal things. This could be fun and I printed one for my son this year. You need to register first before you can create your personalized letter. This would be so much fun not only for you, but for your children as well. Thanks to Freebies4Mom blog for this.